With the industry headed into digital transformation via smart manufacturing and Industry 4.0 and the Industrial Internet of Things (IIoT), company leaders look at these initiatives as opportunities they need to jump on – and fast. They truly can gain a competitive advantage through new service-enabled business models, disruptive new products, a more agile supply chain, and efficient operations. But hold on a minute; the systems that end up being the backbone of the manufacturing enterprise, the control systems, are not built with security in mind. 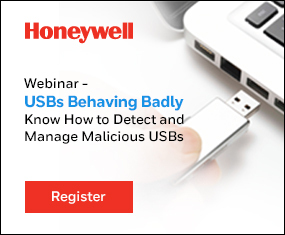 On top of that, a new survey released last week by Honeywell shows adoption of cybersecurity is low. The survey, entitled “Putting Industrial Cyber Security at the Top of the CEO Agenda” was conducted for Honeywell by LNS Research. 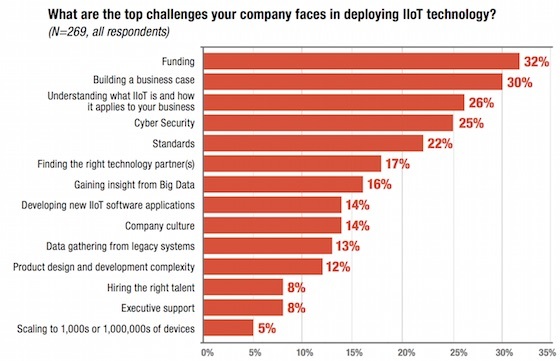 It polled 130 strategic decision makers from industrial companies about their approach to the Industrial Internet of Things (IIoT), and their use of industrial cybersecurity technologies and practices. Slow or low adoption could mean either manufacturers will move forward with the digital transformation and remain insecure, or they will end up delayed in their movement forward, thus losing valuable time and potential revenues, until they adopt a security program. Either way, it appears companies at the vanguard of employing security already, have a leg up on any potential competitors. It can also mean more companies are still at the beginning of creating a security program. “One of the things I found interesting was when they were asked if they had a breach at their plant, most people normally don’t want to talk about it, but here quite a few people admitted they had a breach,” Carpenter said. 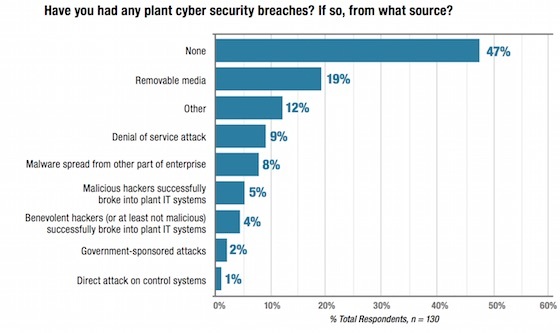 The survey found there has been low adoption of cybersecurity measures, however, awareness is through the roof, the question remains on when will manufacturers establish a timetable for adopting a security program. One of the first step a manufacturer can take is conducting an assessment to see where you stand. Traditionally, security has been seen as a cost center, but in reality, it can end up viewed as a business enabler that keeps systems up and running by eliminating unplanned downtime. 1. Use an operational excellence model of people, process, and technology capabilities to enable digital transformation and build industrial cyber security capabilities into the model. 2. Focus on best practices adoption. Start with the basics like firewalls and access controls; over time move to more advanced topics like network architecture, risk management, and activity monitoring. Build a roadmap based on increasing people and process maturity that considers risk and equates safety with security. If people capabilities are limited to start, consider augmenting with external professional services that have IT and OT experience. 3. Focus on empowering leaders and building an organizational structure that breaks down the silos between IT and OT. A common approach across these disciplines is critical for success in industrial cyber security and it can only be done by investing time and energy in the soft skills of change management.